"And when he had taken the five loaves and the two fishes, he looked up to heaven, and blessed, and brake the loaves, and gave them to his disciples to set before them; and the two fishes divided he among them all. (2012) Sanyu Babies Home - Your bread purchases sent over $6,000 to this Christian based orphanage in Uganda. 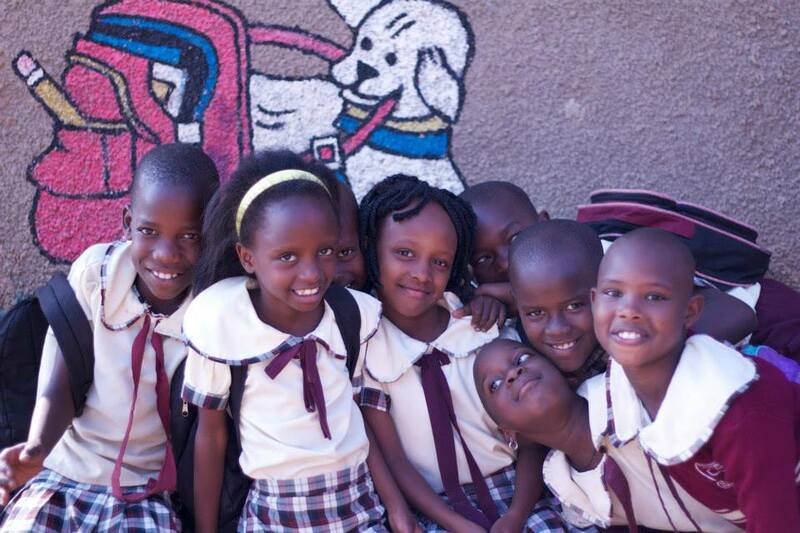 Sanyu cares for over 50 small children (ages newborn to 4 years old) who have been abandoned. Many of these precious children have been abandoned in garbage cans, taxi cabs, gardens, ditches or left on the side of the road. Your bread purchases have helped provide diapers, wipes, milk, formula, food, blankets, electricity and much more. When we visited in June of 2012 my favorite little guy was Philip. He was 3 months old at that time and oh-so-little. Upon my return home, I learned that Philip was abandoned when he was 1 day old on the steps of Sanyu in the middle of the night. The mommas found him wrapped in blankets when they arrived to work that morning. (2012) A Perfect Injustice - "API" is a Christian home for young boys who have been rescued from the slums of Kampala and given a chance at life. Through your bread purchases Bread For Life was able to purchase yard equipment for this ministry so that the high grasses could be cut away. This donation provided a clear, safe path for the boys and village families to walk to the well to get water and not have to worry about snakes and other creepy African-style creatures biting them. This equipment also cut a field of grass that cleared the way for these boys to have a safe field to play sports on! (2012) Redeemer House Orphanage in Uganda- Your bread purchases blessed the directer of the orphanage Kathy Vaughan with a cash donation which went towards making improvements at the Redeemer House. Specifically, Kathy said she needed to fix (or buy) a dinner table so all the children could eat meals together as a family every night. Ah, the things we take for granted! Kathy also used the funds to bless many village children. You can read about Kathy on the website. She is a remarkable and amazing woman that we are honored and humbled to have been able to come alongside! Check out her website. (2012) "A House of Praise" (This is one of my favorites!) B4L was able to partner with a couple from our trip and purchase a PREGNANT cow for 24 orphans who only ate one small meal a day and drank from a muddy creek. Praise is a 24 year old woman who took it upon herself to care for these 24 orphaned, hungry, lost, and vulnerable children. She receives little help in what she does and therefore SHE NEEDS US! It was the greatest and most heartwarming feeling ever when they delivered this cow to her. These precious children now have raw milk to drink on a daily basis which will help their weak bodies get strong. Doesn't that just warm your heart? It does mine. (2012) Adoption - B4L helps families raise money for Adoption. Your bread purchases supported a family in their adoption process by donating over $1,900 in order to complete their home-study process and save a life of a child. I mean, really, who has $25,000 - $35,000 to adopt a child. Nobody I know. That is why God brings people like you and me along to help in that process. 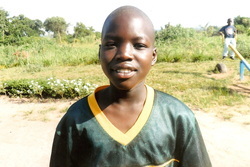 (2012- Present) Child Sponsorship - Your bread purchases have helped sponsor a 12 year old boy who lives at A Perfect Injustice (API). B4L has committed to save this child’s life. 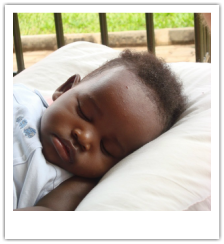 This sweet boy was on the streets in the slums of Kampala for 9 months after his family abandoned him. We decided to commit to his sponsorship and to his future. Within days he was rescued from the streets and brought safely into the API home. Look at his face! Praise God! We pray he is the first of many children B4L can sponsor! Check out the latest video of our boy Bob! Thanks to your support and love, our sweet boy has a FUTURE and HOPE! (2012) Holden Uganda - Here is one of our favorite miracles. Late last year it was brought to our attention that a local family lost their son, Jonah David Ives. Soon after that we were told of a wonderful ministry called "Holden Uganda". This ministry digs wells in Uganda providing safe, clean drinking water for villages. Moreover, they dedicate each well to a child who has gone home to heaven before their parents. Then we started thinking, the village where 'House of Praise' (mentioned above) is located desperately needs access to fresh, SAFE drinking water. The Ives Family desperately could use some encouragement. Why not partner with Holden Uganda and provide water for Praise and dedicate that well to Baby Jonah and provide encouragement for his parents? Over the next few weeks the community of Petaluma, CA rallied together with B4L and together we raised over $3,000 in less than 30 days, all by selling bread. Finally on March 2, 2013 the completed well project was dedicated and presented to the Ives Family, exactly 1 year from the day that Baby Jonah entered into the hands of Jesus. See the miracle unfold in the videos below. This first video was created and used during fundraising to show the churches how the children drank from a muddy dirt hole in the ground on a daily basis. These children all suffer from disease and malnutrition from lack of clean water. The completed Jonah Well Project and the dedication and honor of the Ives Family. B4L has donated over $8,000(+) to the CIDA Ministry work in Karamoja, Uganda. 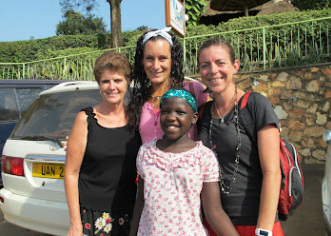 Laurie Dennis is a missionary who serves the vulnerable children of Karamoja in Uganda. With these funds, we have helped make it possible to purchase playground equipment for the children at Kor Adhaa Day Care Center. The money will also help renovate of 2 more classrooms and an office. Tables for these classrooms are already being constructed. These funds also help feed over 200 children a nutritious breakfast everyday. Feeding 200 children is a difficult struggle, and these funds will help this to continue. We are also contributing to the children's deworming program every 3 months and providing each child with medical screening. The ability to do this will significantly impact their health; especially the children who have contracted HIV/AIDS. With the funds remaining, Laurie plans to begin counseling services for children who have been traumatized by the death of a parent[s], domestic violence or defilement. She will also use some of the remaining balance as “seed” money to start our Foster Care Program. There is no such program in Karamoja, therefore orphaned children are often sold for prostitution, child sacrifice, child labor and other horrors beyond imagination. We strongly believe in advocating for these children as the Lord leads. Please keep this ministry in prayer as we continue to support her! - Provided $18,000 for 2 plots of land to build a new Nursery School and a boys dormitory. 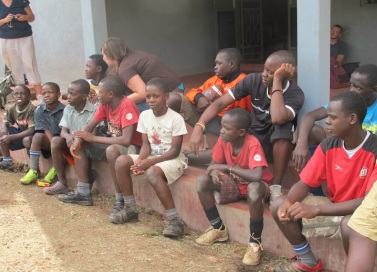 - $5,000 for 7 slum boys to be rescued off the streets and their entire welfare for the year. - Provide support for the weekly slum program when needed. - Provide medical care for boys in urgent need. Summer of 2016 Bakery: Built a brick oven and kitchen for bread baking, providing nutritional bread to 500+ children each morning, teaching young girls the art of bread baking, and teaching young men sustainable farming. If you are interested in sponsoring a child through African Hearts Organization, please click here. If you are interested in donating to this incredible ministry, please click here. Bread for Life Ministries is committed to work along side African Hearts and serve the children of Uganda however He calls. 100% of ALL donations giving goes to the heart of the ministry to best serve the vulnerable children God has called us to love. Thank you for your ongoing support in all we do. fixing our eyes on Jesus, the pioneer and perfecter of faith..."